A touring photography exhibition that aims to promote peace and tolerance by celebrating diversity, and inspire social change through photographic practice. There is more that unites us as humans, than divides. Commonalities are found when we choose to look deeper than the markings on the surface. Our emotions reveal more about this human experience than anything tangible. Joy, love, sorrow and fear. These are but a few of the feelings that connect us to the depth of our being, and reveal to us what matters most. Though we are born into a culture determined by geography, essentially, the cycles of life take similar shape no matter where we are in the world. We are born, we grow amongst family and community, some of us are fortunate enough to receive education, we love, we work, we play, we procreate, many of us worship, and all of us grow old. ‘More That Unites’ is a touring photography exhibition that aims to promote peace and tolerance by celebrating diversity, and inspire social change through photographic practice. Through stories told by Iranian photographers, More That Unites strives to humanize Western conceptions of Iran by celebrating the cultures, symbols and rituals that are distinctively Iranian. The exhibition is curated by Meeshka Bernabe, Farhad Fakhrian and Mohammad Ghafouri. Featured photographers include: Isabelle Eshraghi, winner of the Kodak Critics’ Photographic Prize in 1997 for her body of work entitled Women of Isfahan; Zohreh Soleimani, who captured a revolutionary moment in Iranian women’s struggle for equal opportunities, when ninety-eight women forced their entrance into Azadi Stadium for the historic World Cup match in 2005 against Islamic rules and regulations; and Marjan Vayghan, whose installations and performances have been featured at the Getty, LACMA, MOCA Los Angeles and Tehran. Photographic works from Shaahin Madani, Roksana Fazeli, Farhang Haghighat, Saghar Amir Azimi, Sid Sarshar and Siavash Habibollahi will also be exhibited. Meeshka Bernabe, founder of More That Unites, is an American student at Goldsmiths, University of London. She has co-produced events ranging from art exhibitions and LA Fashion Week shows, to music and art festivals. Farhad Fakhrian resides in Tehran and has been a juror in numerous photographic exhibitions and competitions. He is a professor of photography at the following universities: Art University, Art University of Esfahan, Imam Khomeini University of Ghazvin, Open Art Islamic University of Tehran and Open Art Islamic University of Tabriz. Also a photography critic, Fakhrian has authored many articles and essays in various publications. Mohammad Ghafouri also resident in Tehran, and has also been a juror in numerous photographic exhibitions and competitions. He is a professor of photography at Art University and Open Islamic University, and is a member of Tehran University’s Graphic and Photography Faculty of Fine Arts. Ghafouri is also a board member of the Advertising Photographers Council. After its London debut, More That Unites continues on to Seattle and Los Angeles. 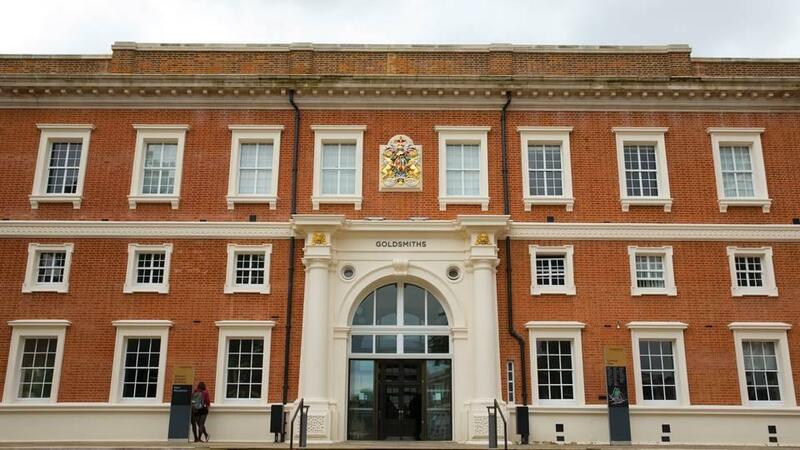 For more information and images, please contact Gavin Ramsey, Programme Director for Made in Goldsmiths and The Gallery.